From the Swedish sound to the Russian border. Vaargids van de grens met Zweden in het zuiden tot de grens met Rusland in het hoge noorden. 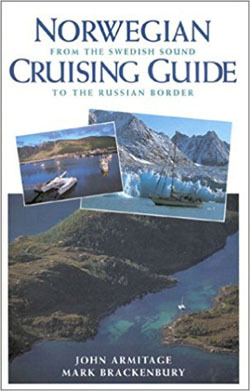 This cruising guide covers the entire coast of Norway from the Swedish border in the south to the Russian border in the north. It also covers the southwest coast of Sweden from the Norwegian border to The Sound, and is the only cruising guide available in any language for the coast of Norway north of Sognfjorden, or Spitsbergen, or Bear Island. The authors give pilotage information on over 500 harbors and anchorages, together with advice on weather, charts, buoyage, radio communications, weather forecasts, culture and protocol. Seventeen cruise planning charts are included, and the authors suggest sample cruises as well as passage alternatives to Norway. The Norwegian Cruising Guide will prove invaluable to anyone planning to cruise--or dreaming about cruising--these beautifully scenic waters.